Two Bears Farm and the Three Cubs: First I Will Lose My Mind. Then I'll Get Fat. First I Will Lose My Mind. Then I'll Get Fat. Oh dear, trouble in running paradise. I burned rubber on my treadmill last week, and not because I was running too fast. The problem had likely been going on for a while, but I just hadn't noticed. I use my treadmill almost every day lately, super early in the morning before everyone is up for the day. We've been so busy that it's often the only option I have for fitting in runs. But then, on my 919th mile I started to smell a burning rubber smell. I didn't get off - I finished my mile first. 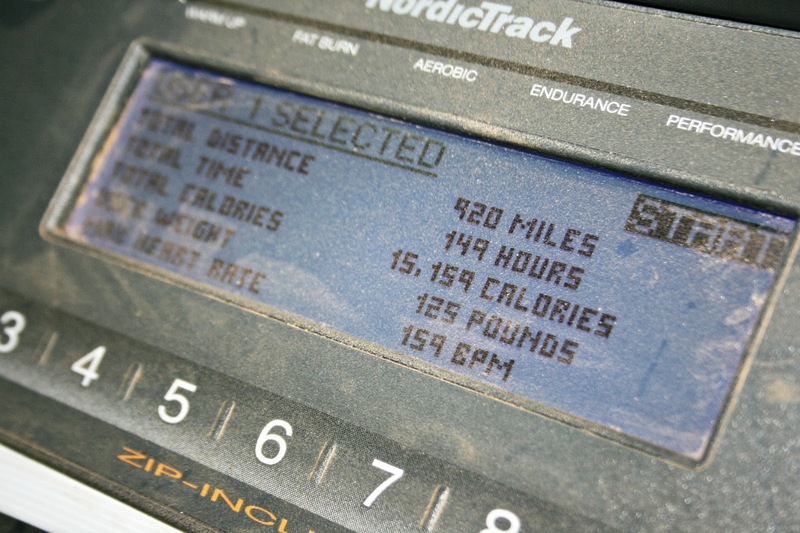 (And yes, treadmills gather dust even when you do use them all the time!). So the problem is that the belt got pushed all the way to the left, and was cutting in to the plastic. And I didn't know. Okay, maybe there were some warning signs (like that rumbling it did from time to time). But I didn't think much about it. No telling how long this was going on, but it cut a groove into the plastic, which you can see below. 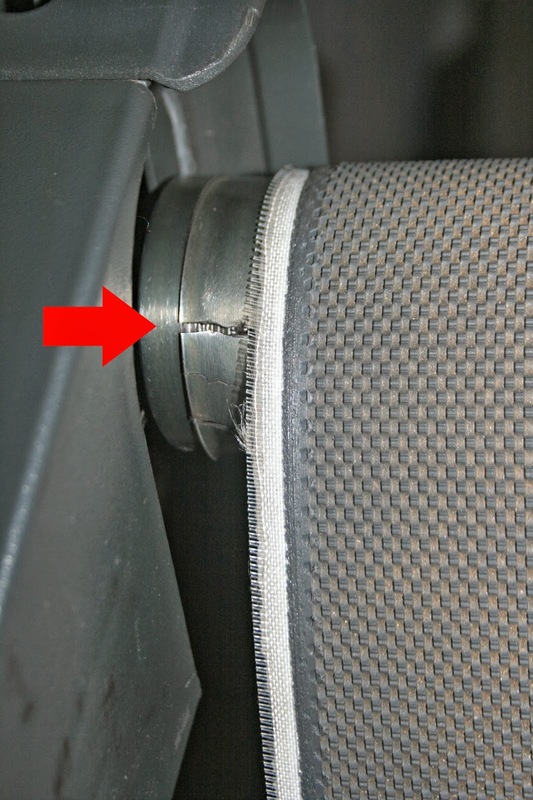 It also cracked the metal on the roller, and shredded the side of the belt. This is big trouble for me. My treadmill is my lifeline. If I can't use it this time of year, with the short days, I will likely only get in a couple of runs a week; when Paul is home during the day or during preschool hours, if I don't have to work during that time. Running is my outlet. I can technically live without it, but of all the things I could sacrifice in my life, this is one thing I really can't imagine doing without. I'd rather give up my cell phone, chocolate books, movies, and maybe even hot showers! I don't blog about it that much, because there is more to me than just running, but it is such a HUGE part of what fills my life with happiness and health. I ordered a couple of parts and Paul is going to try to doctor up the treadmill when they arrive, since a service call on it would be $168. Hopefully he can figure out how to replace the parts and get things moving again. Until the fate of my treadmill is decided, you all might just want to stay away. I'm going to be really grouchy (insert Grinch theme music here). Readers, do you have a modern device you just can't live without? There is an old hay elevator with a wide belt on it over at the barn. We could rig that up for you, maybe power it with your tractor. That would be entertaining if not helpful. Sorry that it broke, you could be the test person for the manufacturer, the "Lisa" test. So sorry about your treadmill! Hoping that Paul gets it up and going for you quickly! My gotta have it modern device is my coffee maker, Obviously not as healthy as running, but it is essential for me! wow, $168 for a service call. That's insane. I hope you can fix it and get it running again. Wow- that is crazy high for a service call! I felt this exact way when I fell outside last year. I loved to do my walks outdoors. Now I am stuck inside hoping my cat doesn't trip me as I walk from one end of the house to the other. Oh gosh... what a bummer. Kudos to Paul for hopefully fixing this for you. I don't have a treadmill, but I do have a mini trampoine/rebounder on my Christmas list this year. I understand about your treadmill, as when my computer died, I wanted to scream or do anything I could to get it going again. Hope you can get it fixed without too much trouble and be back on it soon. I'm so sorry about the treadmill. I hope Paul can fix it. I don't know why service calls have to cost so much. 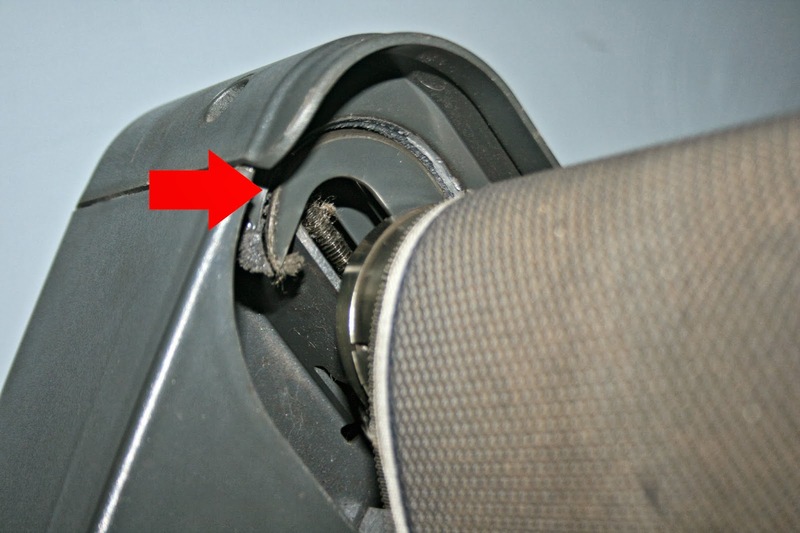 Do you have a stationary bike or some other equipment you could use until it's fixed? I have faith that your husband can get this fixed for you….because I can't imagine YOU being grouchy!!! Paul can fix it; I know he can. I understand how you feel. Oh! I am sorry to hear that you have going through troubles with your exercise device. One day, I was an outdoor young lady who wanted to keep fit and thin. I used to run too, if I could, especially in big parks and on the wet sand by the sea. I did exercise all the time, even with body-building and weights. However, there was a time that I had to give up on those things, due to aging and my health issues that prevented me from doing those things any longer. I sure wish Santa or a sponsor would get a new treadmill. My two middle children (then little) put pennies in the treadmill once and broke it (who could foresee or guess such a thing? lol)?? I was mortified and hubby got me a manual (no electric) to be nice. It was not pretty. I bought a new one a year later and got an extended warranty. The warranty's long expired now, and I always cross fingers and toes that it doesn't break. Wishing you luck with yours! my hubby had the same thing happened to 'our' more his treadmill, it managed to fix it, hope Paul can fix yours. My oven, I couldn't live without my oven. Oh no! I'm sorry it broke. I hope you guys can fix it so you don't have to shell out all that money for a service call. A modern device I could not live without is my computer. For obvious reasons haha! Oh, I AM sorry!!! I really hope you two can fix it! If not, you might try eBay. Hum. I guess the thing I would miss the most would be the computer because that's my link to the outside world and my "blog friends." Your husband will fix it for you. But he would still love you even if you got a little heavy! Whoa! $168.00 for a service call? Talk about inflation. Sorry to hear the sad news. Until the treadmill is fixed, maybe you'll just have to give yourself the runaround. But that might not work so well. I do hope you and your husband can get it back in working order. Oh my that is too bad. I hope you get it up and running soon. It is good Paul is willing to try and fix it. My mommy says you are amazing,, and this story makes her cry,, because mommy feels she does not know any of those joys that make you so happy,, and mommy wants to love life - like you,,,, and even on a treadmil. Sorry yours got broke-- but if it hadn't of got broke-- we would never know all the things that make you happy. Does that make sense? Ugh lame! I joined a mommy work out group so I can bring my toddler to work out and that helps me soo much. Lisa: As soon as you mentioned the "burning" smell, I knew what was coming up. I work out five days a week, and it is one of the smartest things I do for my health and well being. A great investment. So, I totally understand, and know you'll be back to the treadmill soon! Hope you get it fixed! If not, used treadmills are available cheap… and sometimes they've only been used one time.